Get a great pay monthly deal on the iD Network, all the latest handsets at low prices. Want great deals on lightening fast 4G mobile data contracts? Then check out the TigerMobiles.com range of iD contracts and mobile phone deals. As an online only service, iD offers some of the cheapest deals around on fast 4G data contracts, simple, no fuss, and affordable. And they've got tons of hand sets to choose from too. To get started shopping for iD deals, just use our simple comparison tool below. 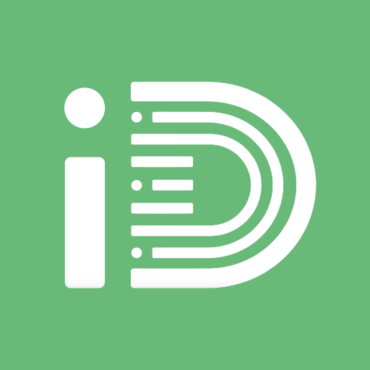 iD is one of the newest operators on the UK market, launching in 2015. It's owned by the well known high street brand Carphone Warehouse, and is an online only service, though you may also purchase plans inside Carphone Warehouse locations. Not having physical stores of their own means that iD don't have big bills to pay, and they can pass those savings along to you, keeping their contracts budget friendly! As is common for smaller mobile networks, iD do not own their own mobile infrastructure. Instead they use the services of mobile operator Three. This is good news for you, because Three has one of the fastest growing 4G networks in the country, offering wide spread coverage, and all of iD's mobile contracts include super fast 4G mobile data, rather than slower 3G speeds. Plans with iD are dead simple. If you choose to go the SIM only route, you get a 30 day rolling contract, so no long term commitment is necessary. If you want to get a great phone too, you'll sign a 12 or 24 month contract with one of three options: TakeAway, Shockproof, or Go To. TakeAway plans include great deals for mobile roaming, and let you use your minute/text/data allowance in many foreign countries just as you would use it at home. Shockproof plans are capped, meaning you can limit the amount of extra charges incurred each month. Go To plans are for big internet users, with great deals on big data limits. And, of course, there's a wide range of hand sets to choose from as well, which you can easily include in your monthly contract. You'll be able to handle all you account needs online with iD, and consumers rated iD the most reliable network for 2015! Shockproof contracts mean no nasty bill surprises! For lightening fast 4G mobile data contracts, iD are the affordable, flexible choice. You'll get a range of specialised contracts with everything from cheaper roaming to more mobile data, and capped contracts mean no overspending. Sound like the network for you? Then check out our comparison tools for awesome iD deals.